Hey everyone! Welcome to my stop on the hop, thanks for stopping by! I created 2 scrapbook layout using some of the gorgeous products Altenew are launching. Keep on reading for all the details, giveaways and full list of participants in the hop. The layout was super fun and easy to make, and you can see how everything came together in my video tuotrial, just keep scrolling! Leave a comment here telling me your favorite Altenew product to win a 30$ gift vertificate! Winner will be announced HERE on January 30th 2019. 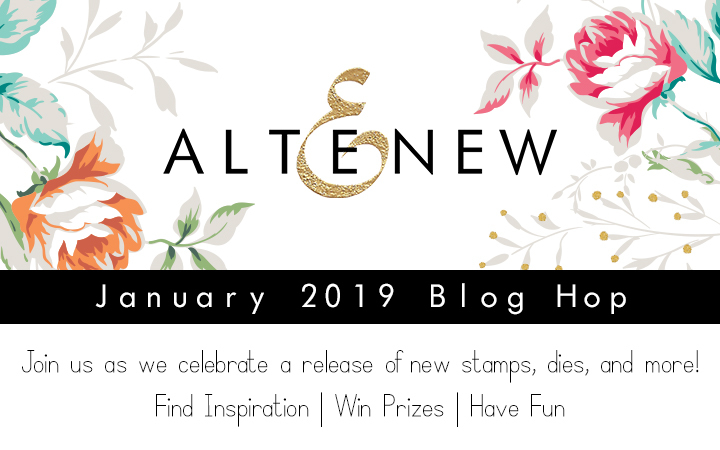 Good luck and don't forget to check out the Altenew website for all these releases and more great products! Have a crafty day! Cute layouts! :) My favorite is the Beautiful Blossoms set. I think these layouts are incredibly beautiful. So intricate in design. Wonderful creations. Great layouts! Wonderland stamps are among my favorites... The fancy frames are so pretty too. I love all the mini stamp sets in this release Irit and also the Angelique Motifs which are gorgeous! I love the yellow pink theme on your layouts. Thanks for sharing these beautiful layouts. Moira my dear, you won the giveaway!!! Yay!! Great layouts, I love the colors!! Thank you for sharing, and inspiring. The Garden Picks is one of my favorites! Beautiful pages. Great release!!! So many beautiful and inspiring projects shown! Love your bright and cheery layouts! I love the All the Hearts set and die. Those are lovely layouts - I love your bright, fun colours! Hi Irit! I am a huge fan of your work!!! Love both of your pages and the creative ways you used the Fancy Frames. My favorite new release is the Wonderland stamps, which you used so wonderfully on your layouts. Sweet layouts!! Love the color schemes of both. Every time I think I have enough flower stamp sets, along comes a release like this one! Thanks for posting a scrapbook layout. Pink and yellow is my favorite color combination. I think the Garden Picks die set is my favorite. Great design.My favorite products are all the colors of ink. Beautiful layouts! I love the colors you used. I'm most excited for the stained glass set. Beautiful layouts! I haven't seen anyone color the fancy frames yet and it's adorable! My favorite product is the Wonderland stamp set. Pretty layouts BTW! Love your layout, such pretty cheery colors. It's hard to pick a favorite, I do like the floral especially the hibiscus. Lovely LOs Irit! Thanks for the inspiration! 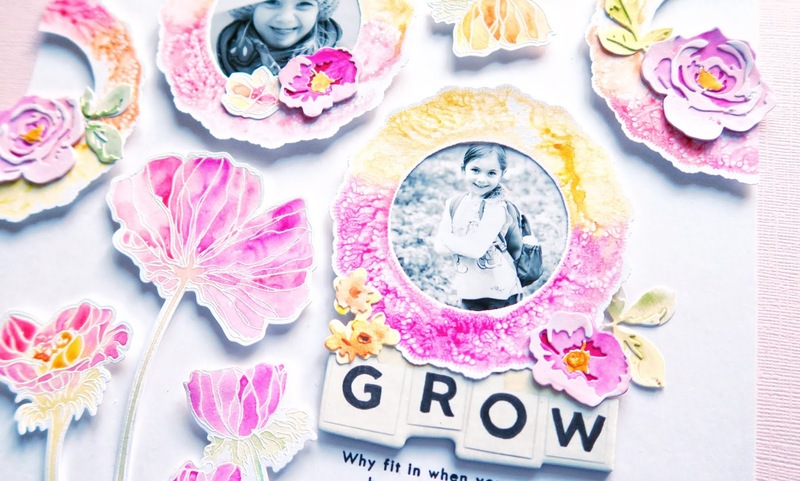 Very sweet layout....thank you so much for sharing your talents today....great new release from Altenew!!!! Incredible layouts! I love her BLUE eyes! and the amazing colors you used! Very pretty layouts! Clever use of the dies and delicate flowers. Cute layouts! Love the choice of bright colors. Ohh MM GEEE the first layout. Love it. These are pretty! Love that lacey die. Awesome projects & those blue eyes! I am loving the fancy frames! Very pretty choice of colors. The doily frames look like they'll be great for lots of projects. Such pretty layouts! I especially love the second one and how you used those frames! Hi Irit :) I really like the fancy frames and you showcased them well :) Thanks for sharing! Beautiful layouts and colors and layers, everything! Gorgeous layouts! Thanks so much for sharing and inspiring us! Beautiful layouts; love the colorful layout with the black and white photos! Beautiful layouts! Your elements are gorgeous! Love these layouts! My favorite from this release is the 3D hibiscus die set. Awesome Release! Great projects, I especially love the second Wonderland layout! These are so sweet! The second one is amazing - I love love love it! 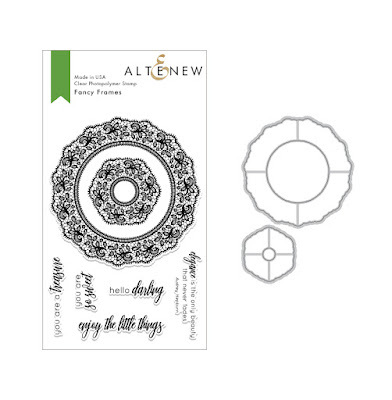 I love a lot of Altenew products, but from this release one of the must haves will definitely be one of the 3D die sets - they look so cool! Beautiful layouts. I really love the first one. Pretty, and perfect layout . This so fab.and cheerful. And the design is beyond amazing. I love how you used those Fancy Frames! my favorite from this release are the hibiscus dies! Those are great color schemes and layouts for such a great page. Love the ideas you presented. Such wonderful layouts. The colors are great. Absolutely STUNNING pages Irit! These flowers and frames look gorgeous water coloured. I'm just getting into watercolors and I never gave a thought to watercoloring right on to my stamps. I'm going to give this a try for sure! Your layouts are beautiful. Thanks for sharing!! 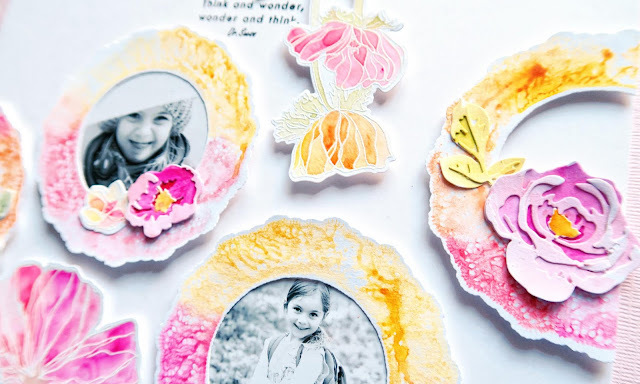 Such bright and cheerful layouts! Hibisus Garden is my favorite set and is on my wish list. Your layouts are beautiful. Your colors match the photos perfectly. And I like the idea of layering the fancy frames with the doilies. Great video too! I love how you incorporated photos using the Wonderland Stamp set. Such cute layouts. Lovely job. Thanks for sharing! I like mask stencils from this release. Wonderful layouts! I love the colour matching to the photos on the first one! This is a great layout! I love the colors that pick up the colors of the lollipop! TOO CUTE! Gorgeous layout, so happy, love the vibrant colors. My current favorite of the release is the Wonderland Flowers set. This new release and your inspiration is fabulous!! Love your colorful layouts and so want that new fancy frames set as well as everything!! Lovely layout!! Your colors are stunning!! My favorite part of this release is the Hibiscus die set. The flowers you make are gorgeous!! Love all the bright and cheerful colors Iris! So pretty!! I love that you mixed the sets to make such a lovely page. Bravo! Wow! Such pretty layouts! Love the way you have used the new frames. Very beautiful. 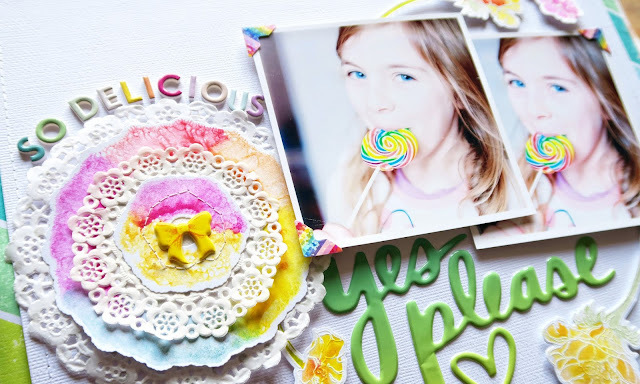 Your scrapbook page is a beautiful layout and I love the happy colors you chose. I'm loving all the cards and layouts that the designers have created using the 3D dies. I think I would use the Garden Picks the most, so that is my favorite. Your layouts are very pretty and colorful. My favorite is the Wonderland fowers set; I love the one large poppy flower for a beautiful card. Of course, it’s a close race with ALL the other images that I also love! Lol! Gorgeous, sweet, colorful pages. Love them. Both layouts are so pretty! Such delicious colors on that first layout...could almost taste that lollipop!! You're second layout is so adorable! Love your choice of colors on these projects!! Your layouts are gorgeous! I love that you watercolored the stamps to use them, that's so pretty! Thanks for all the great inspiration! Beautiful colors and wonderful layouts! such bright, fun layouts! luv the mini brownstone set! 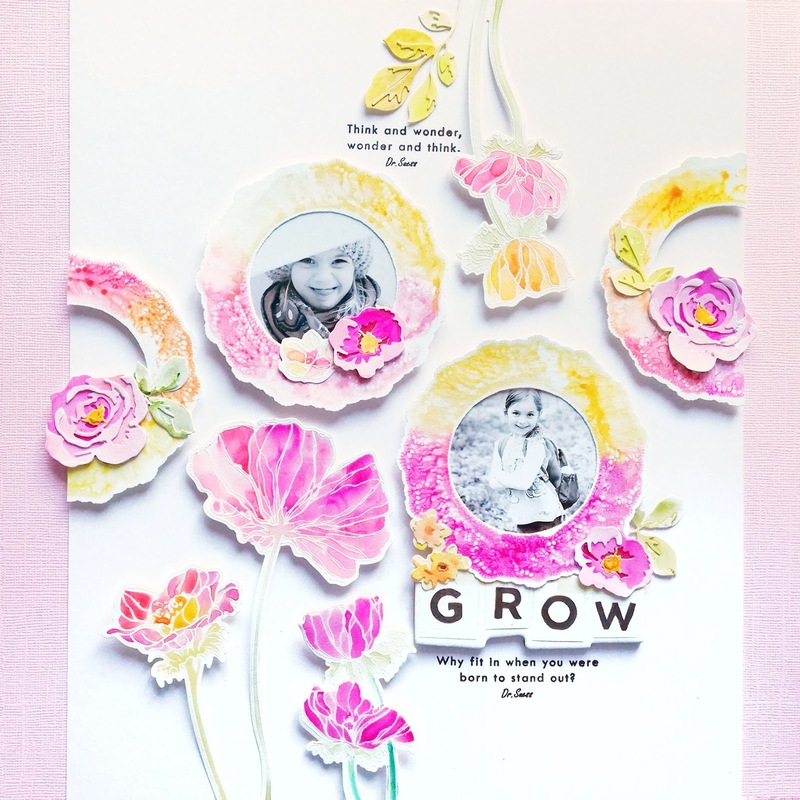 What a fun blog hop-love your layouts!! Altenew has so many great things, but my favorite from this January release is the Hibiscus Garden set! Your layouts are beautiful! I enjoyed watching your process in the videos. I love all the bright pinks and yellows! Thank you for the inspiration! Beautiful layouts so bright and colorful. I enjoying watching your process videos. Such lovely layouts, I love your color choices. It's hard to choose a favorite but I'm leaning towards the Beautiful Blossoms or the hibiscus 3D flower. It's all beautiful. TFS! Beautiful layouts--they are just gorgeous! Thanks for sharing your creativity! Thanks for the chance to win Irit! Oh what happy and sweet layouts. Gorgeous designs and you so perfectly highlighted those fantastic photos. Beautiful Blossoms has caught my eye. Both of your layouts are so pretty and colorful! 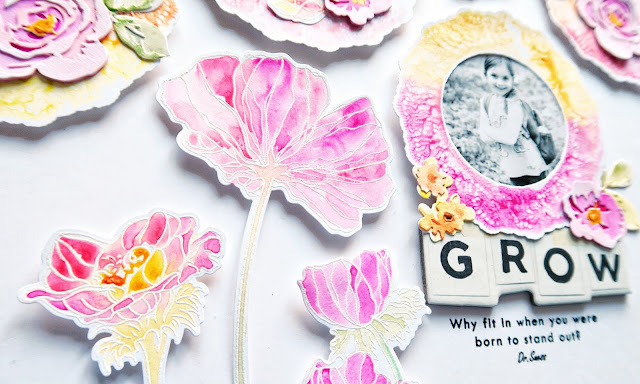 The circular frame dies and the Wonderland Flowers give your pages a whimsical feel to them. 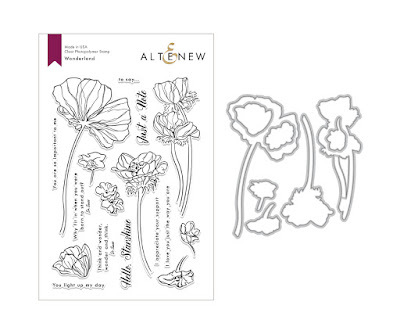 My favorites from this release are the Dainty Bouquet and the Angelique stamp sets. I love their layered floral stamps. Bright and colorful layout! It's really great. Thanks for sharing and thanks for the video. It is so hard to pick from this release. I thought Bloom and Bud set was my favorite, but after seeing all the beautiful creations on the hop, it's pretty much impossible to choose one. These layouts are so lovely for these sweetie-pies!! My favorites from this release are the 3d florals... especially the hibiscus with tropical leaves!! Wonderful palettes on these layouts. Love the use of the doilies. Thanks for sharing this inspiration with these fun products. Beautiful layouts! The watercolor flowers are gorgeous. I also love how you created the rainbow frame! Thanks for sharing. Adorable! Love your pretty color combo! Love these gorgeous layouts! My favorite new item is the Dainty Bouquet set. Thank you for sharing your creations with us Irit! I am new to card making and blog posts like yours are so helpful and inspiring. I just adore the new Wonderland stamp and die set. It is so lovely and you used it so well! Just beautiful. Wow!. So beautiful and colorful!!. Your layout made me smile. I love how you used the Fancy Frames Set and made it look like doilies. Thank you for inspiring. I'm a sucker for doilies! Love the look of that page - so fresh & spring-like! Love your creations! My favorite from the new release is the Wallpaper Art stamps.